It's the talk of the season. You can't avoid it, only embrace it, and hope that this sweeping fad of Pokemon Go doesn't sway your day-to-day life too far off course. Whether or not your head is buried in the depths of your iPhone as you catch the Bulbasaur ahead, odds are you and your inner-teenager are still familiar with these peculiar little creatures. As you wander the streets looking for a place to demonstrate your skills and catch the highest level Pokemon, perhaps you wonder why the human population is so infatuated with these odd-looking creatures. Our thoughts on the matter? You are what you Pokemon. These digital beings are bursting with personality that remind you of your boyfriend, your girlfriend, your best friend, or even yourself. Check out the bios below to see which Pokemon you are, and which date idea suits you best because of it (make sure to let bae know, too). So food is the most important thing in your life. Amazing. And staying "active" for you means walking to the nearest brunch destination? Fair. You live your life with purpose, and that purpose just happens to be determining how and when you will be ingesting your calories each day. I mean you've got to eat to live, right?? 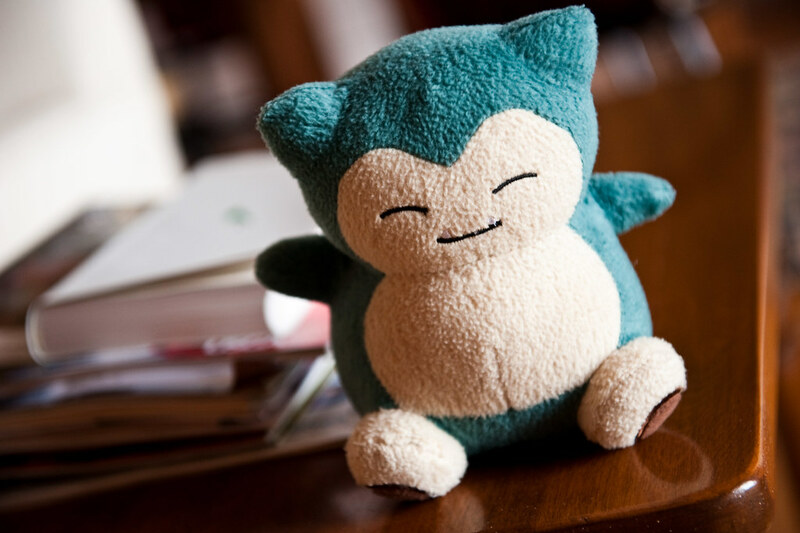 You, friend, are a classic "Snorlax." Your favorite activities involve eating and sleeping, and people love you for it. You're the friend that always knows where to go for lunch. So treat yourself and your boo, too, to the best food Greenwich Village has to offer. Nothing can get you down. You're the real life Buddy the Elf, and genuinely feel joy from making other people happy. No one has ever seen you frown, and frankly, you couldn't make your mouth muscles move that way even if you tried. You're the Pokemon "Togepi" in human form. Your greatest talent is spreading cheer, and you're damn good at it. But careful, Togepi, too much cheer all the time and you'll drive real-life people crazy. Try channeling that energy into painting with your oh-so-sweetheart. We can usually find you doing yoga barefoot in a field, meditating by a river, or whispering to plants to help them grow. You swear it works. You're in touch with your senses, and you're as zen as they come. Just being around you is calming. You're the human version of "Jigglypuff" -- so calm that you put people to sleep! Kidding. Your yogi ways leave people feeling so at peace they find themselves envious of your lifestyle -- and also craving a nap, preferably cuddled up with your SO. Don't worry, you're not a fish out of water in the awkward sense, and your sweet thang doesn't think so either. We just mean you spend equal time in water as you do on land. You are literally a (human) fish out of water. Surfing, swimming, 'yaking. Your hands are permanently pruny, and you thrive in the summer months. Even when the temperature drops you continue to be one of those "carpe diem" people who go polar plunging and sunrise surfing. Total "Squirtle." Funny guy, eh? Are you fluent in sarcasm and spectacular at being the main voice in the room? Handle even the most serious of situations with a joke... like a first date, perhaps? You are the designated class clown. Every friend group has one. You thrive in social situations, often coming off a little nutty, but in a way that somehow charms people. You're the human version of "Meowth" -- with a crazed look in your eyes, augmented by the reassurance of your pals and your special someone laughing at those (albeit sometimes corny) jokes. Channel your comedic skills into an improv class. You may be a little crazy, but life would be dull without you. You love the environment, as does your lady or man friend. Hey, good for you guys. You spend most of your time outside doing your best to live sustainably and save the earth. Your thoughts on people who use plastic water bottles and don't have separate paper/plastic recycling? They're monsters. You thrive in the sunlight but the rising heat fuels your hate fire and reminds you of the melting arctic ice caps. You're "Venasaur," cute and loving at first, but fiery and angry when you get heated about our destruction of the earth. Mellow your temper with a calming terrarium making class. It's a mini earth you CAN control. You love everything about gossip. Getting it, sharing it, telling it -- especially to your guy or gal. Whatever works. You feed off the news from other people's lives almost as much as you like sharing the most personal parts of yours. But while this love for gossip is sometime harmless -- like when it is channeled into catching up on the lives of the Kardashians -- you don't want to come off as a razor sharp backstabber, like "Sneasel". Those long sharp claws of yours might do damage unintentionally, so tame yourself, Sneasel. Learn how to manage those claws with a knife skills class. Your better half will be especially happy you did.